Dark blue tinted with blue threading. Exceptionally rare bowl on three hand wrought legs designed 1924. 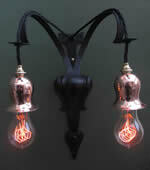 Antique wrought iron with hammered copper tulips. 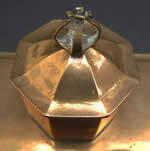 Rare Boardroom Inkstand designed 1925. 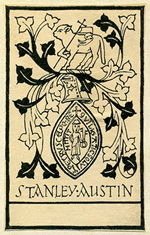 Designed by CFA Voysey, c1928.